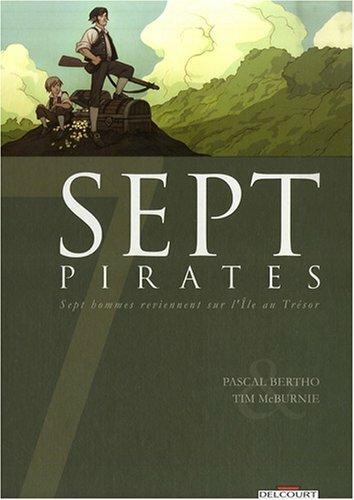 In 2005 I started work on my first French graphic novel; 7 Pirates. The story was an unofficial sequel to the classic novel Treasure Island by Robert Louis Stevenson. Written by Pascal Bertho, it is part of the "7" series. A collection of 7 books published by Editions Delcourt. Each book is completely separate, with different creative teams, but all revolve around the motif of the classic film "The Seven Samurai" by Kurosawa. 7 Characters come together to complete a quest. In this case, years after the events of Treasure Island, 6 of the characters from the original story return to treasure island along with a new 7th pirate, in search of long lost treasure.